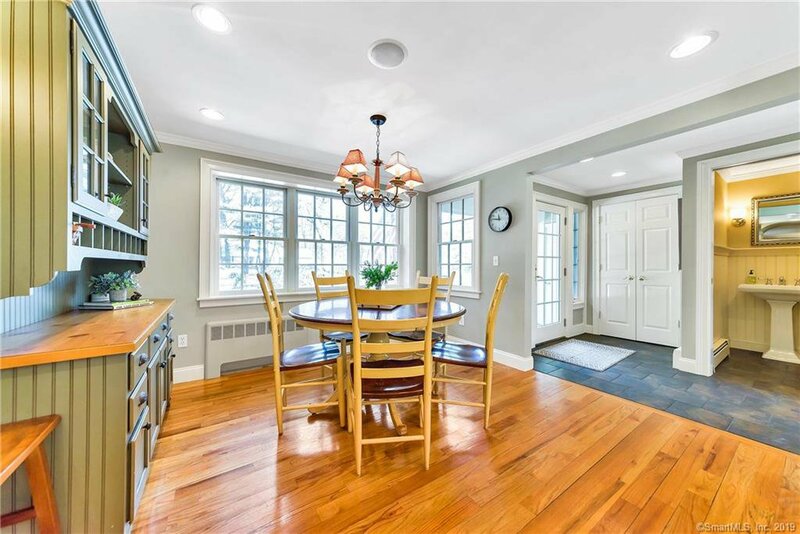 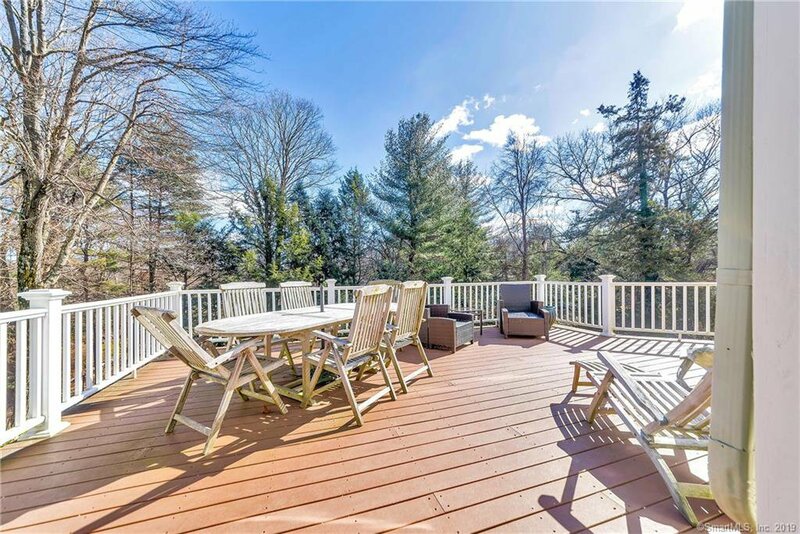 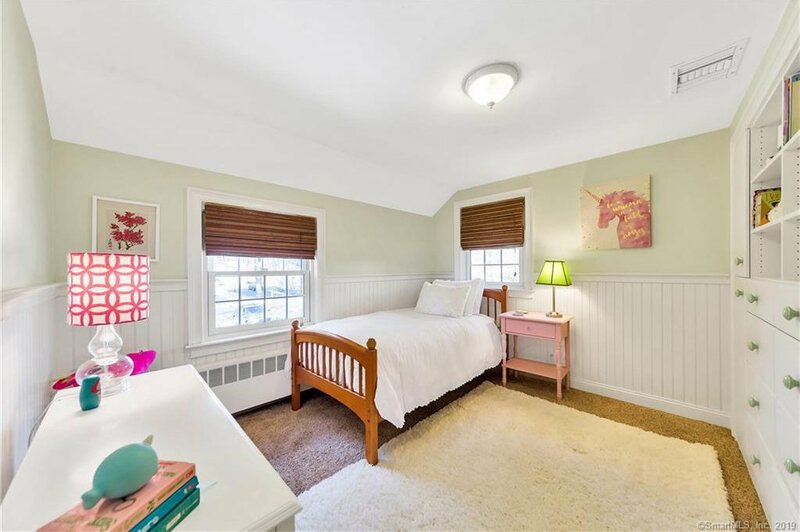 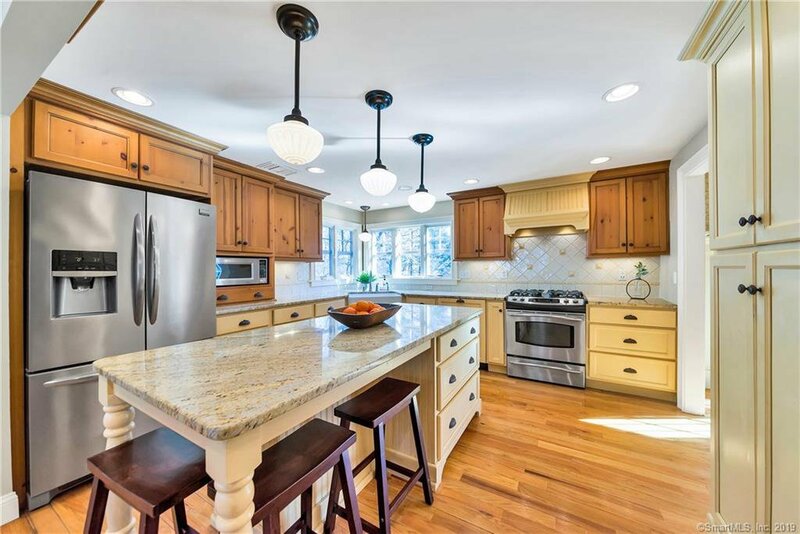 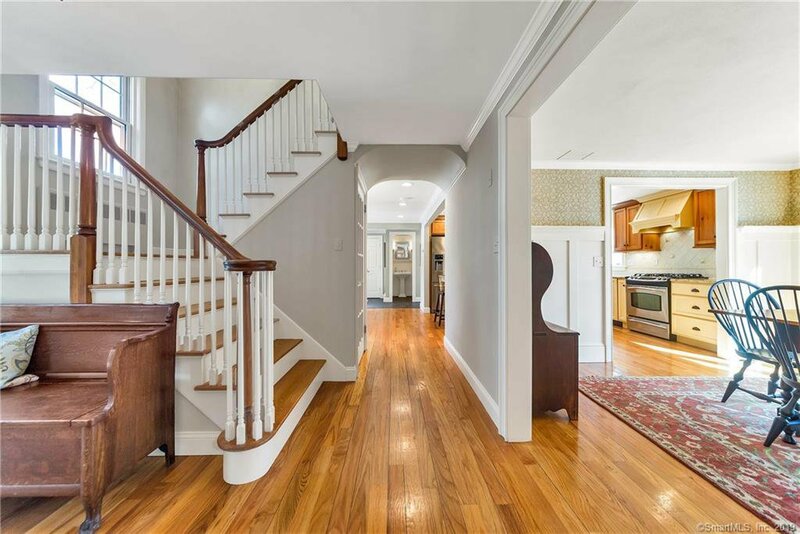 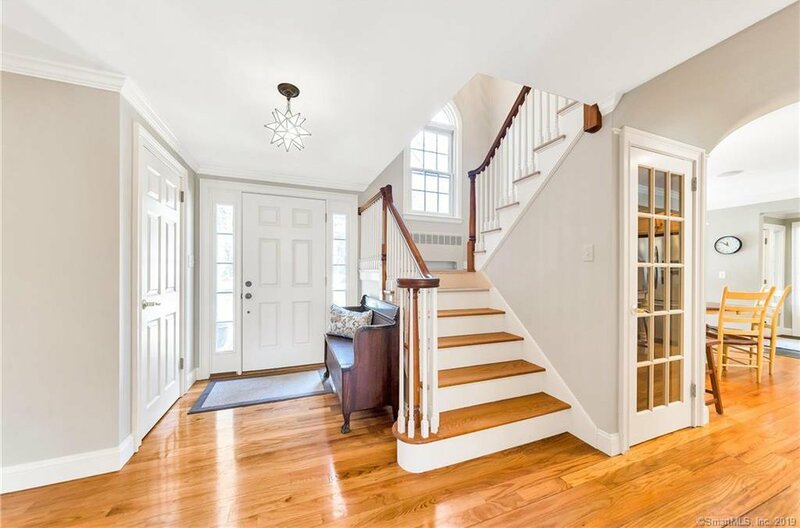 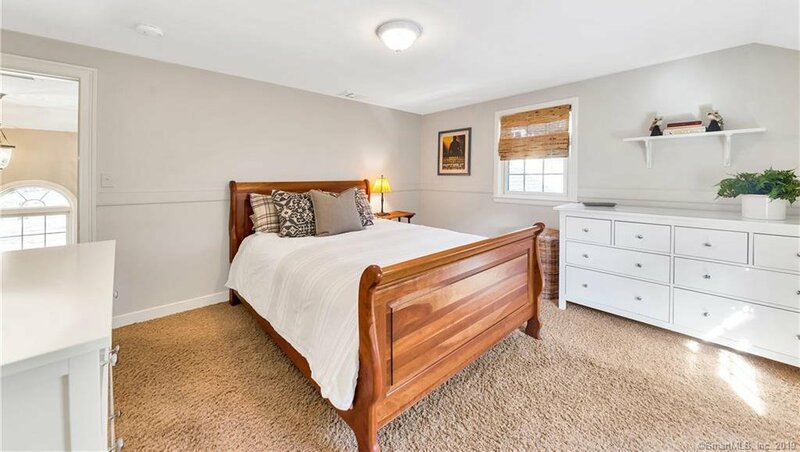 This impeccably updated Colonial, situated on a cul-de-sac west of Mountain Road, features beautiful living spaces throughout. 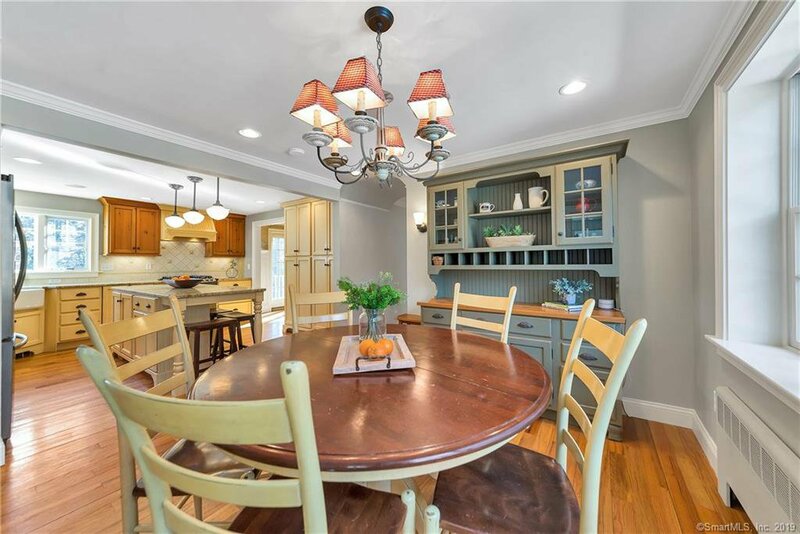 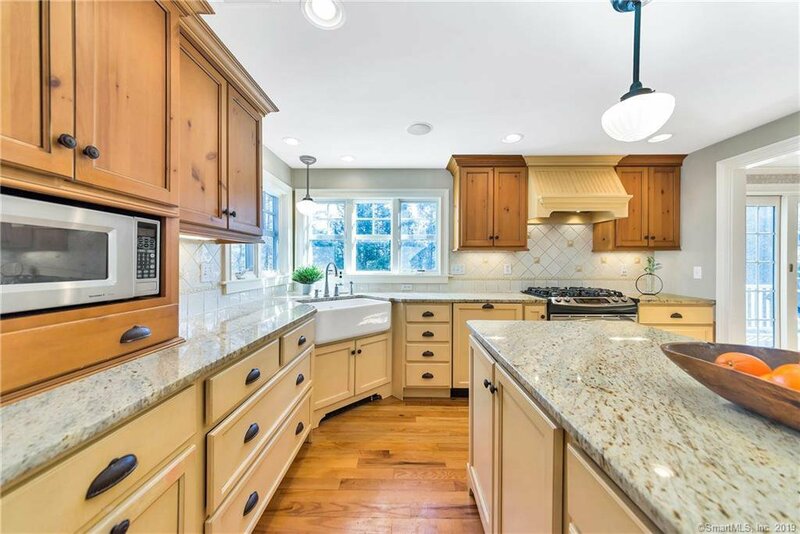 The eat-in kitchen features a breakfast area, granite counters, farmhouse sink, stainless appliances, island, and wood flooring. 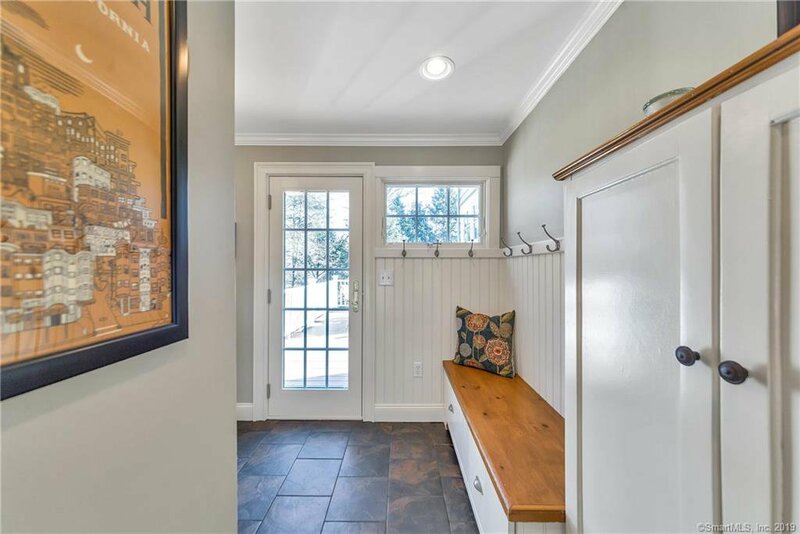 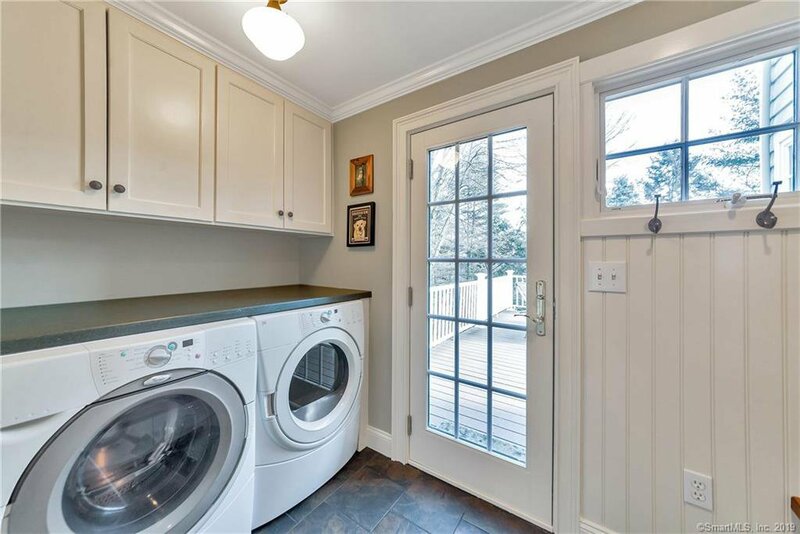 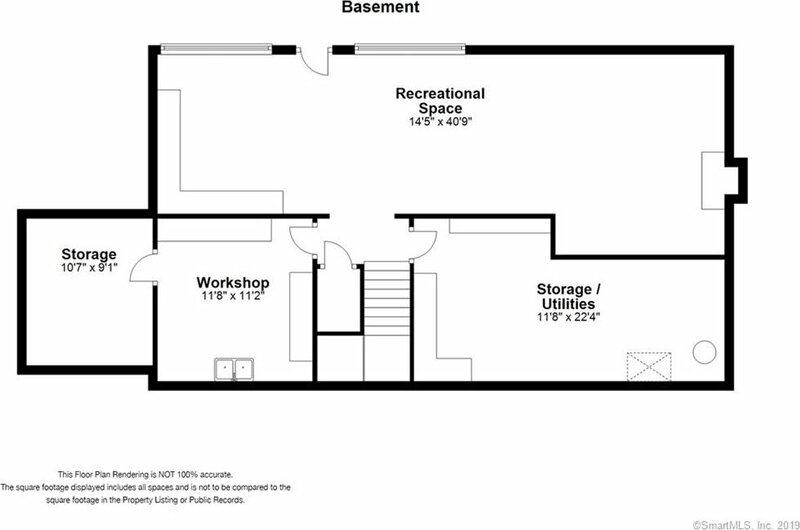 There is also a mudroom off the kitchen with laundry, built-ins and half bath. 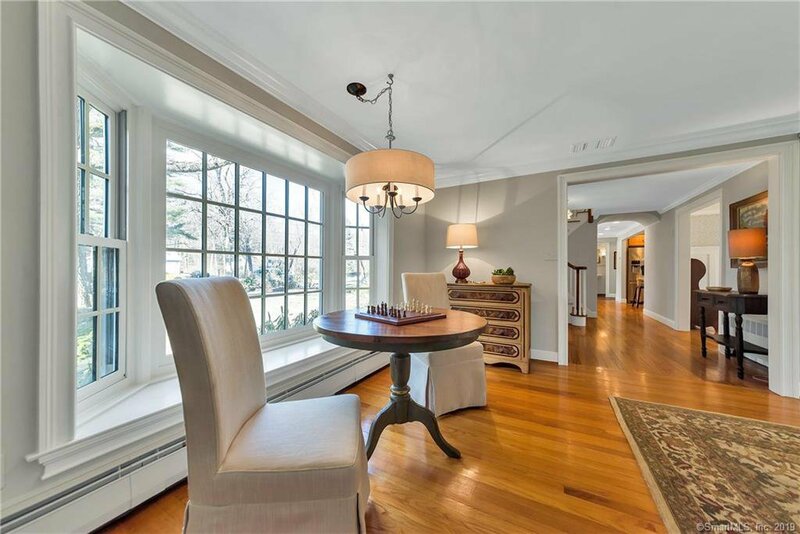 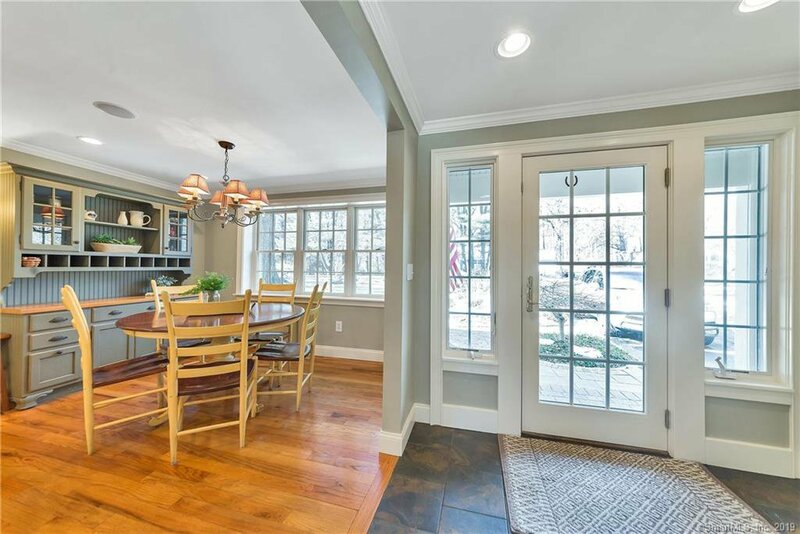 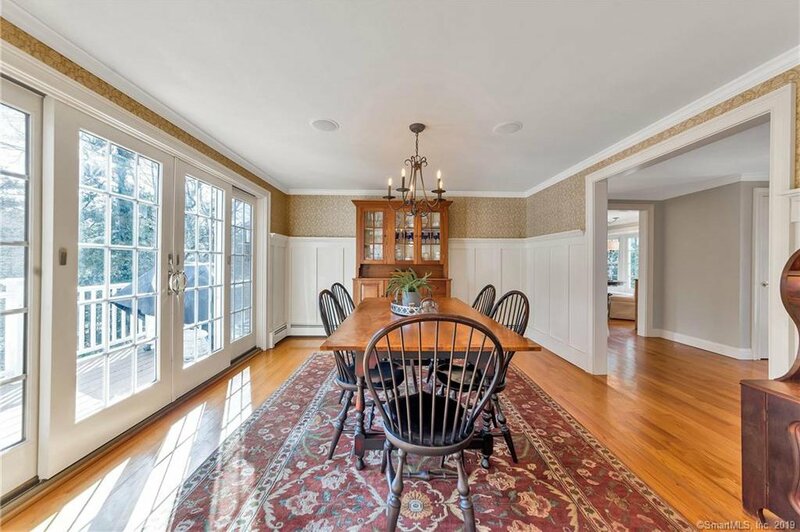 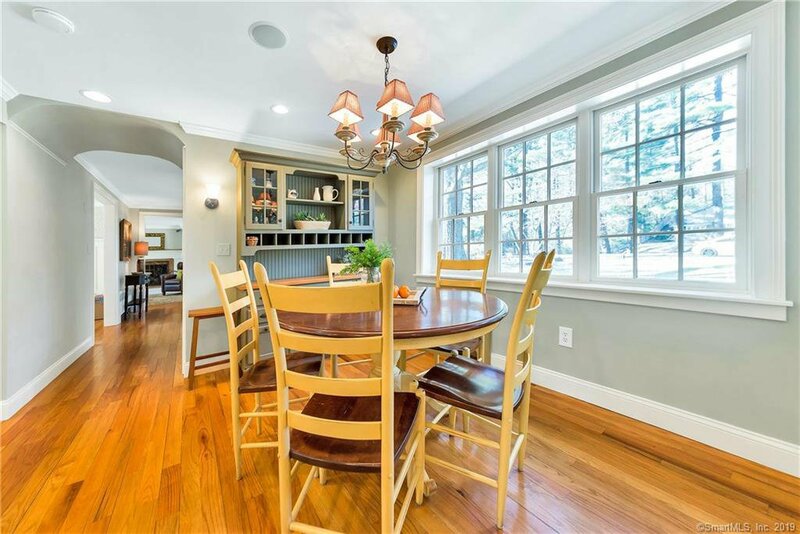 The dining room features wainscoting as well as french door sliders to the deck which overlooks the wooded backyard. 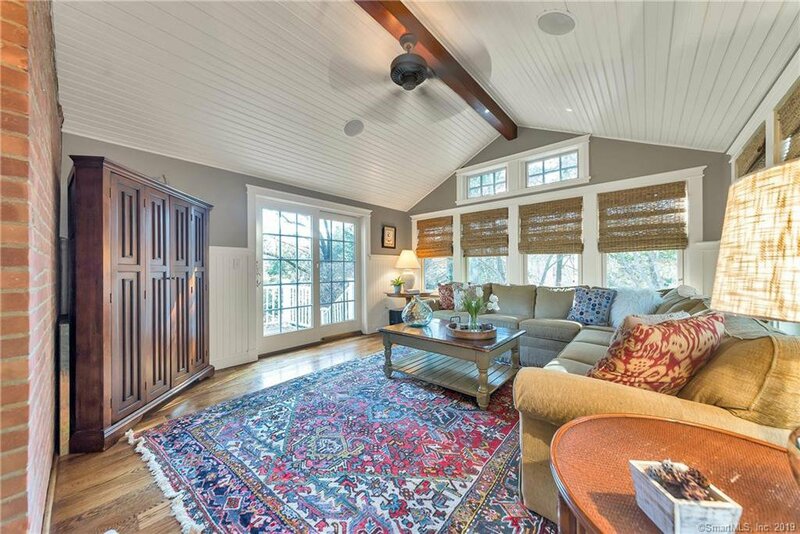 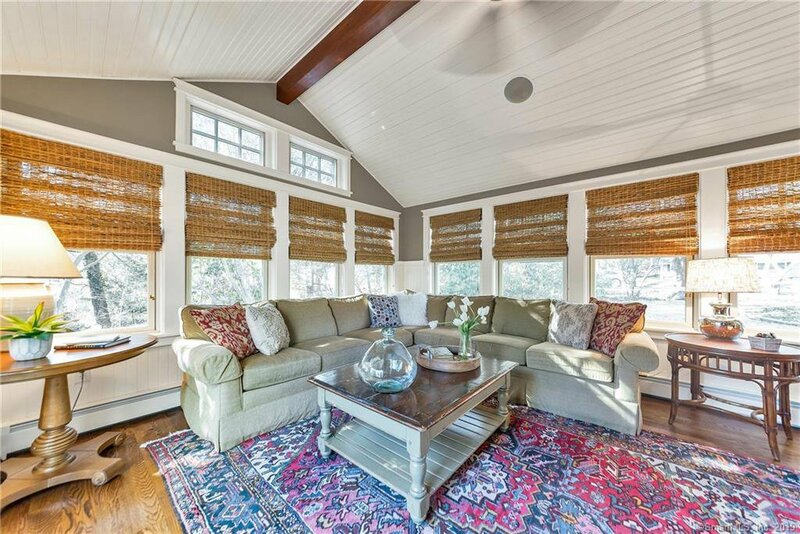 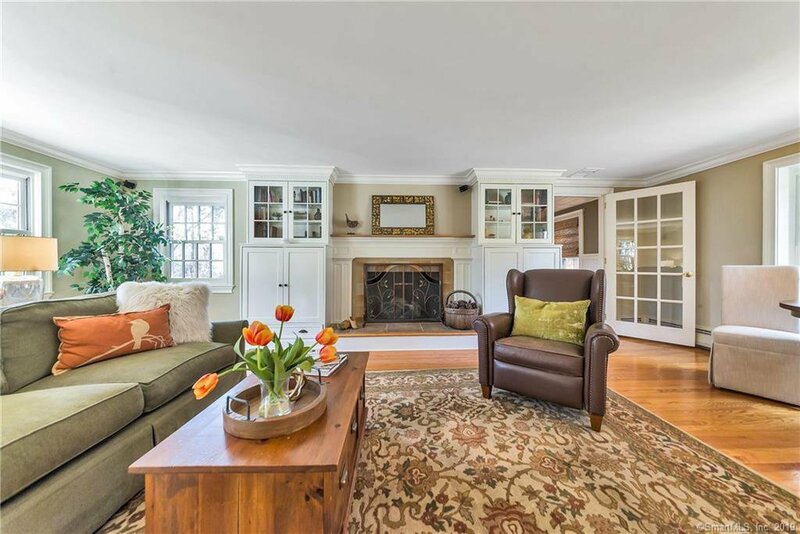 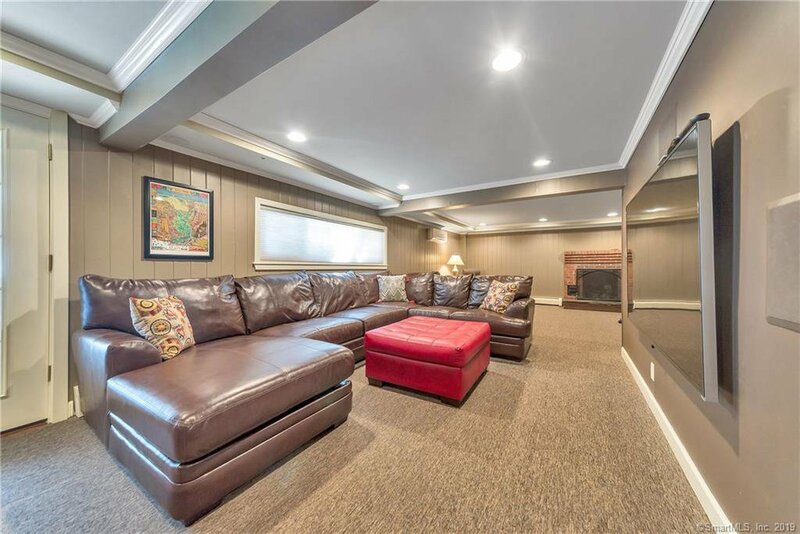 The spacious front-to-back living room with gas fireplace and stone surround, flows into a beautiful first floor family room with beadboard ceiling, transom windows and custom window treatments. 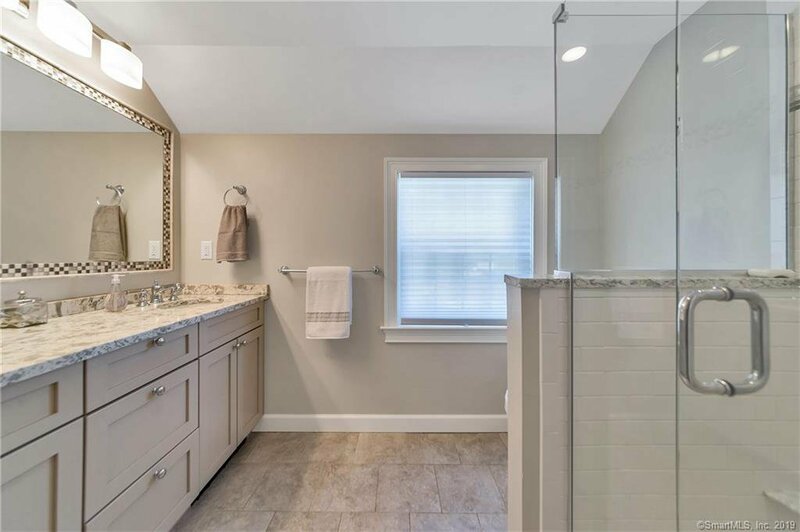 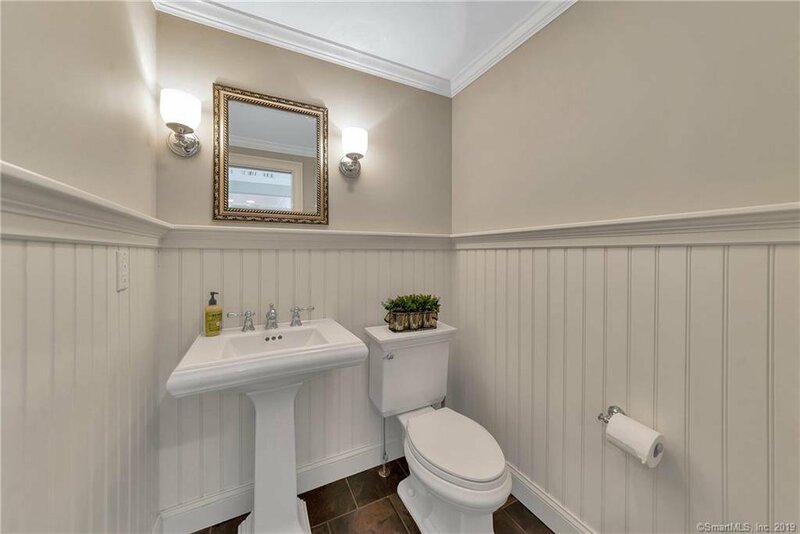 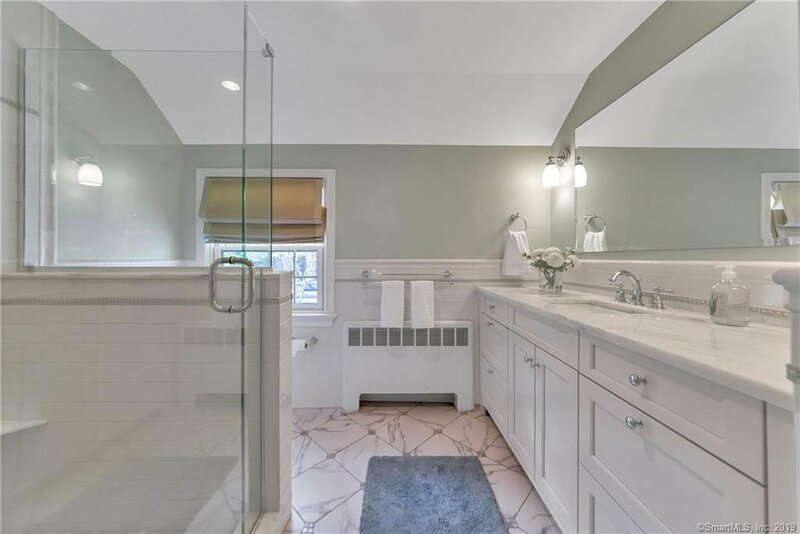 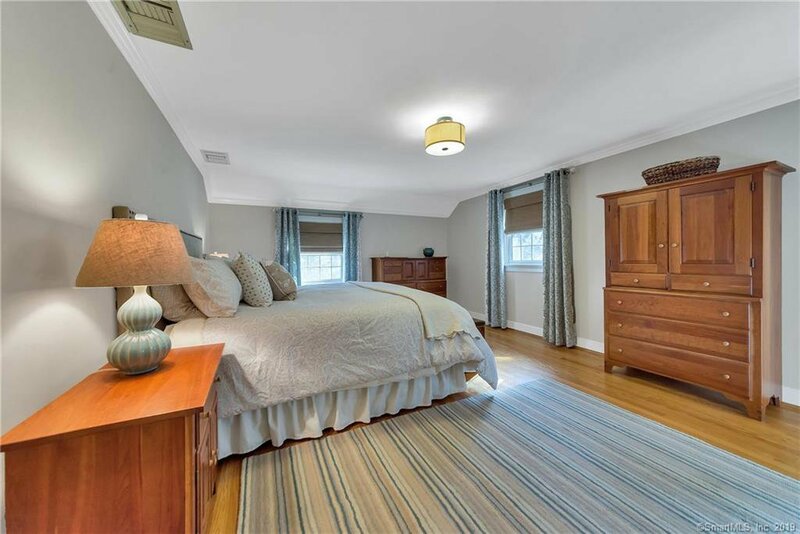 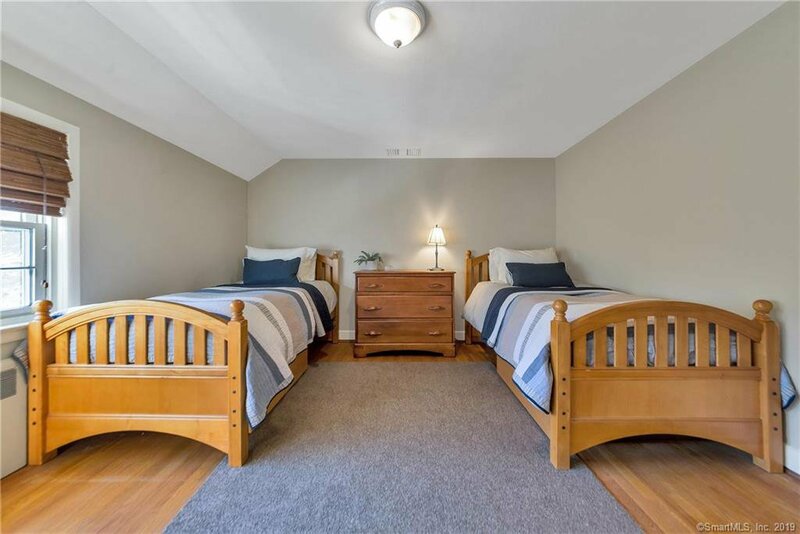 All 4 bedrooms, all with hardwood flooring, are upstairs including the master bedroom with walk-in closet and ensuite bath with granite countertop and glass enclosure, and a hallway bath with quartz counters, double sinks and glass-enclosed shower. 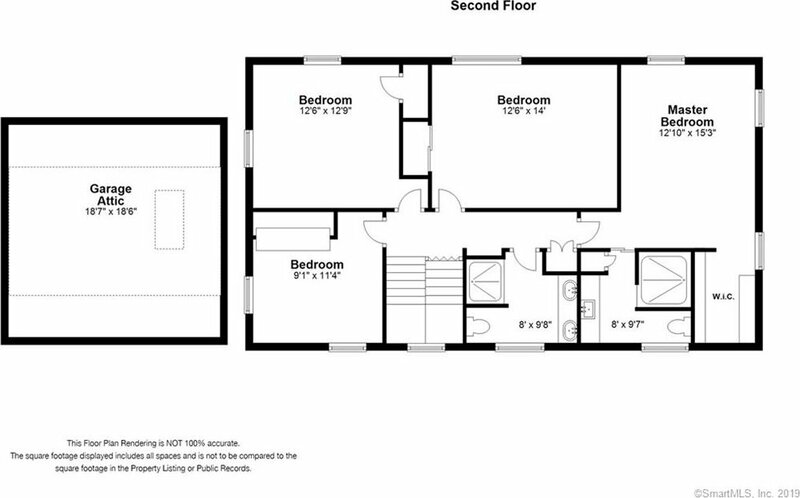 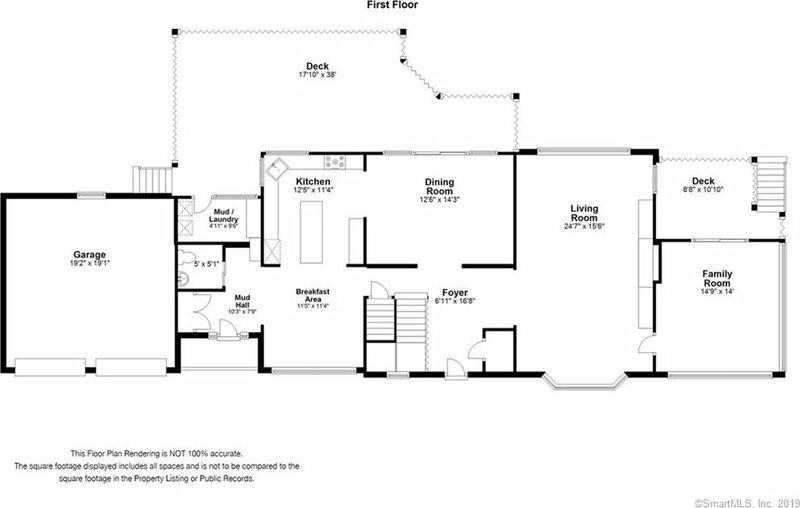 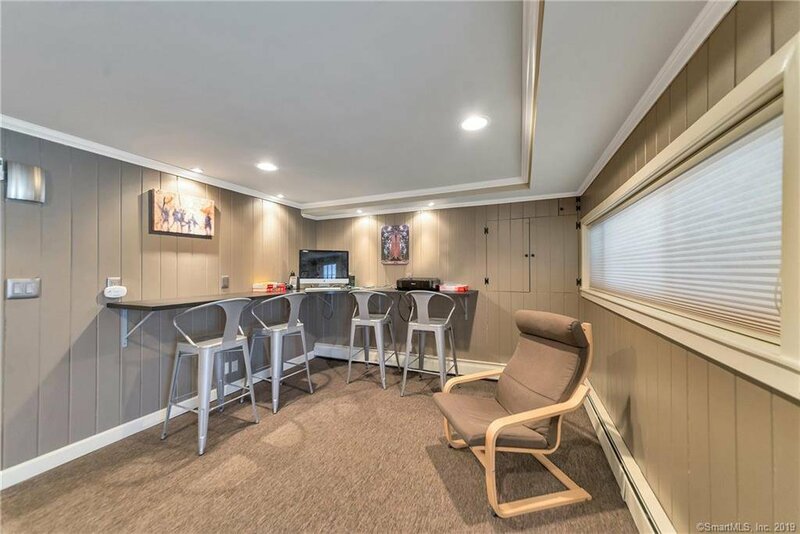 The lower level features a bonus rec room with flat screen tv, gas fireplace, built-in desk area perfect for homework or home office, as well as lots of storage space. 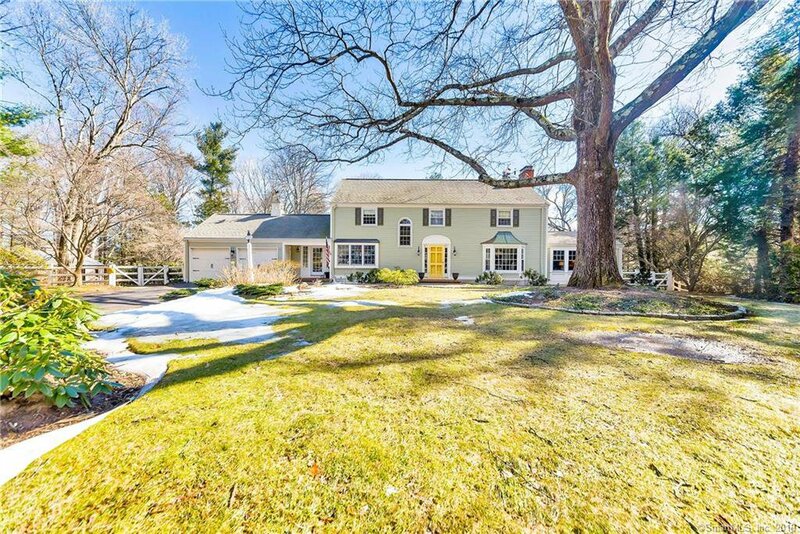 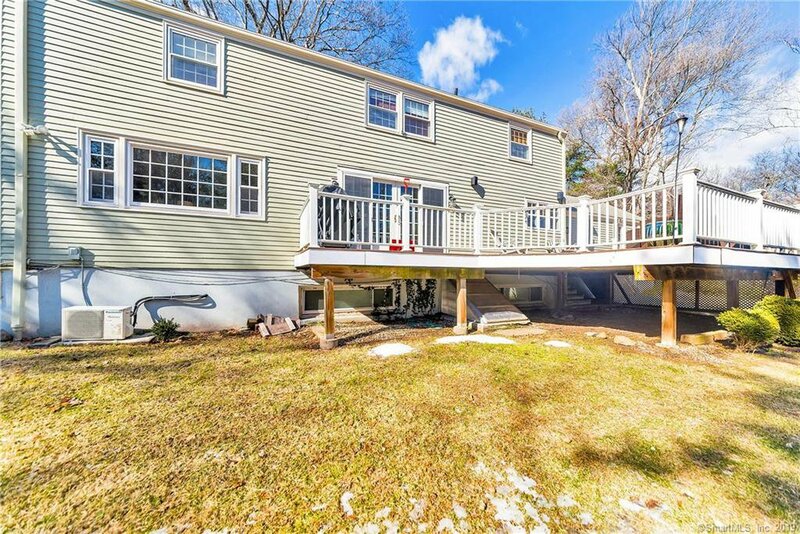 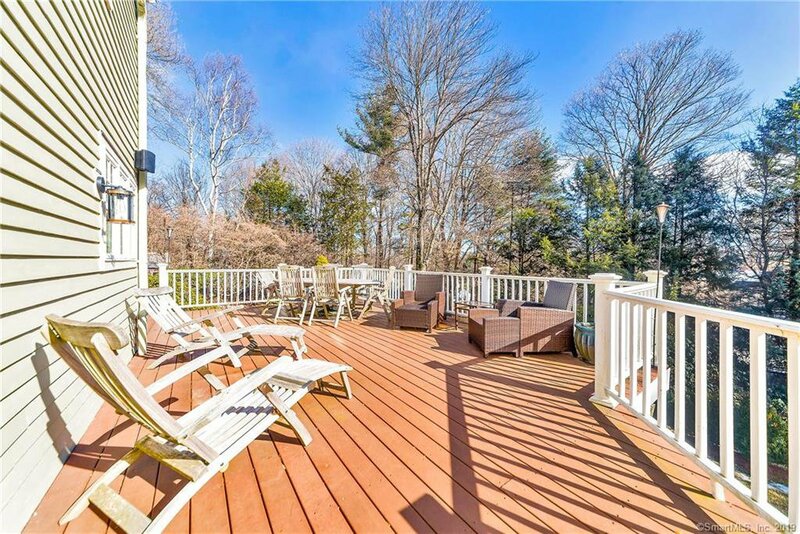 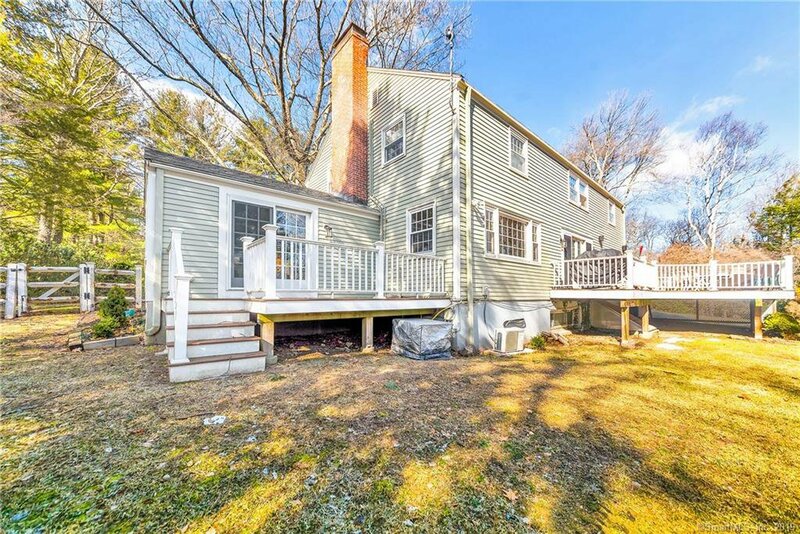 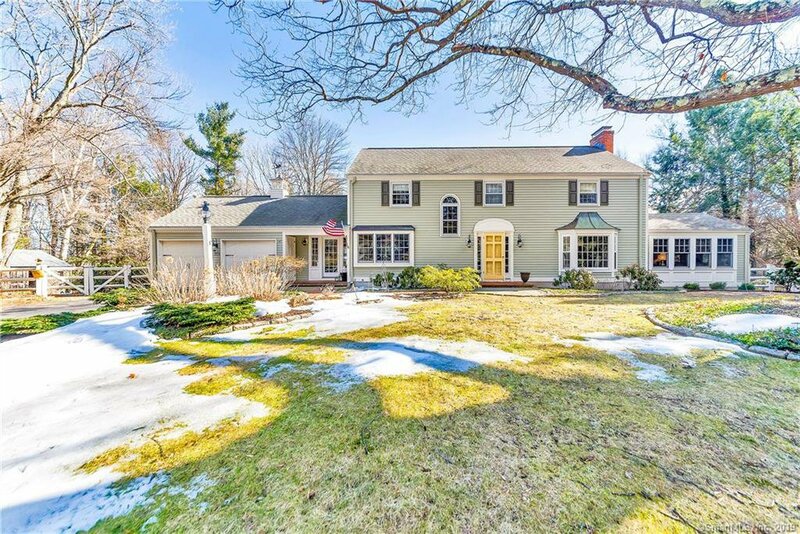 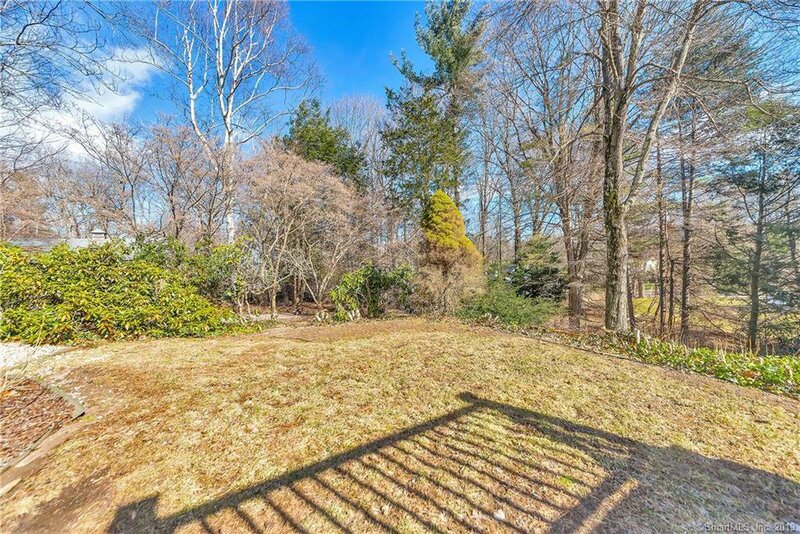 Perfect location down the street from the reservoir access and just minutes to West Hartford Center!